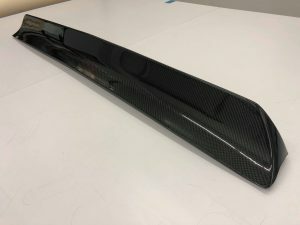 Ultra-Carbon is now offering factory style rear spoilers for your ’67, ’68, and ’69 Camaro. For more photos and pricing information, please visit our ’67 – ’69 Camaro/Firebird page. Contact us to order your parts today! This entry was posted in New Parts, Product Information by admin. Bookmark the permalink. Taking Our Stock-Style Mustang Doors to Another Level!